Electric cooperatives have been serving Arkansans since 1938 when First Electric Cooperative Corp. in Jacksonville first turned on power to its distribution system. In the years since that landmark occasion, other electric distribution cooperatives have been formed in Arkansas, bringing the statewide total to 17. 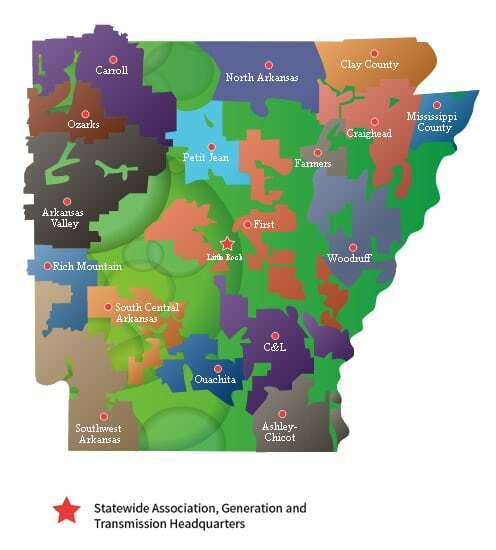 Today, cooperative service areas cover more than 60 percent of the land area in Arkansas and include more than 500,000 homes, farms and businesses.